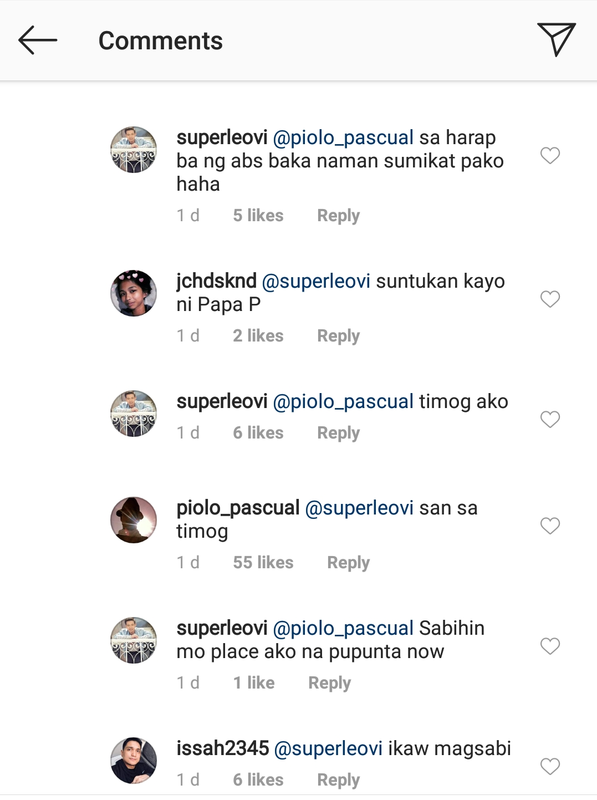 Piolo Pascual shared on Instagram an accomplishment post of him and son Iñigo on January 20, 2019; they just completed a run in Jakarta. 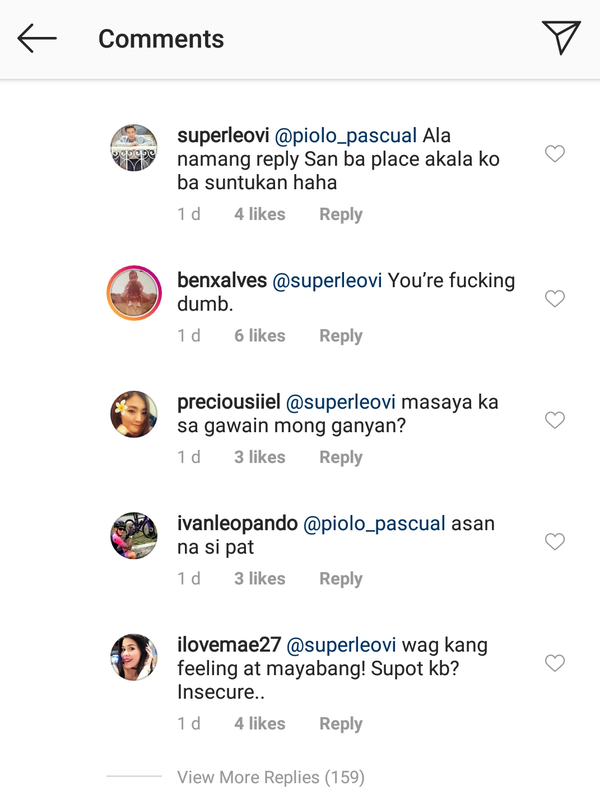 He captioned his post, "@sunlifeph represent :) done with our first resolution run in Jakarta :) perfect weather, great course, awesome people... Next week is Manila’s turn for sunpiology’s 10th anniversary... see you all on January 26, 2019 at Camp Aguinaldo for #sunpiologytr10 #lifesbrighterunderthesun"
A certain “superleovi” commented, "Mag amang bakla haha"
The exchange of Piolo and the basher continued. 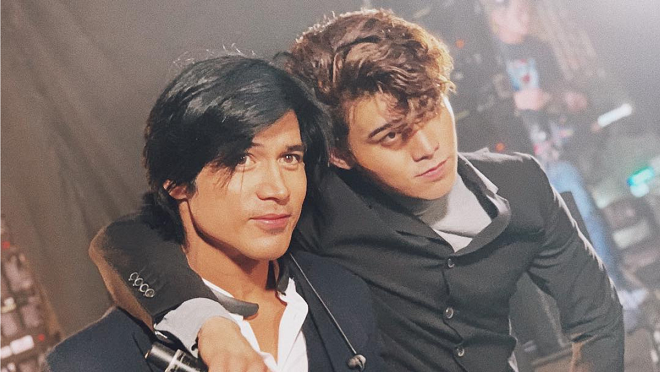 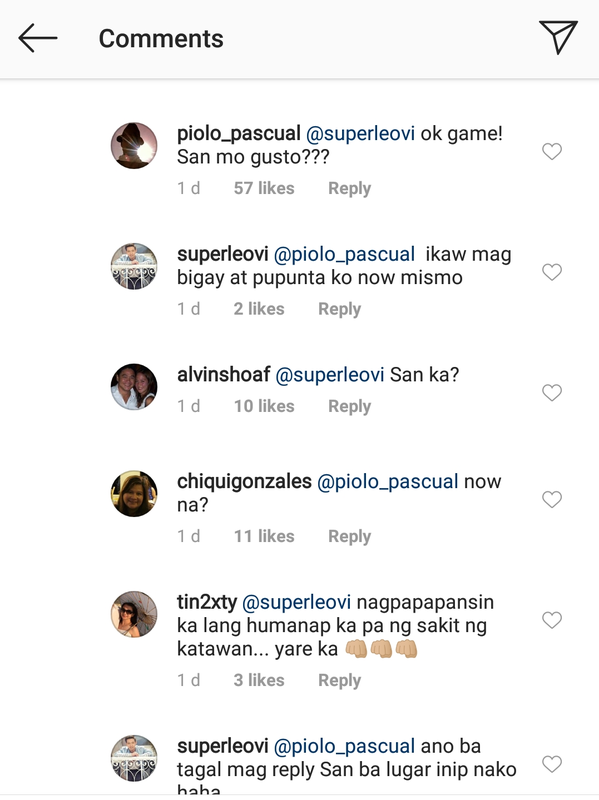 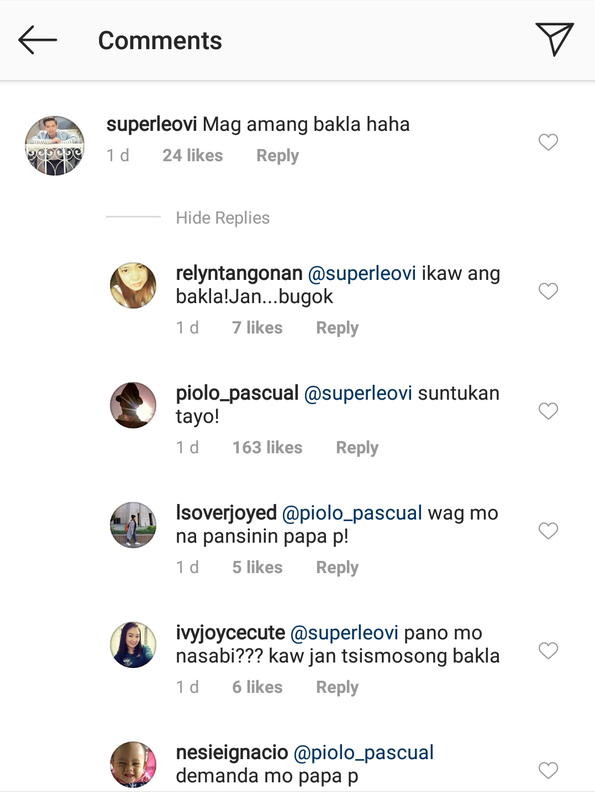 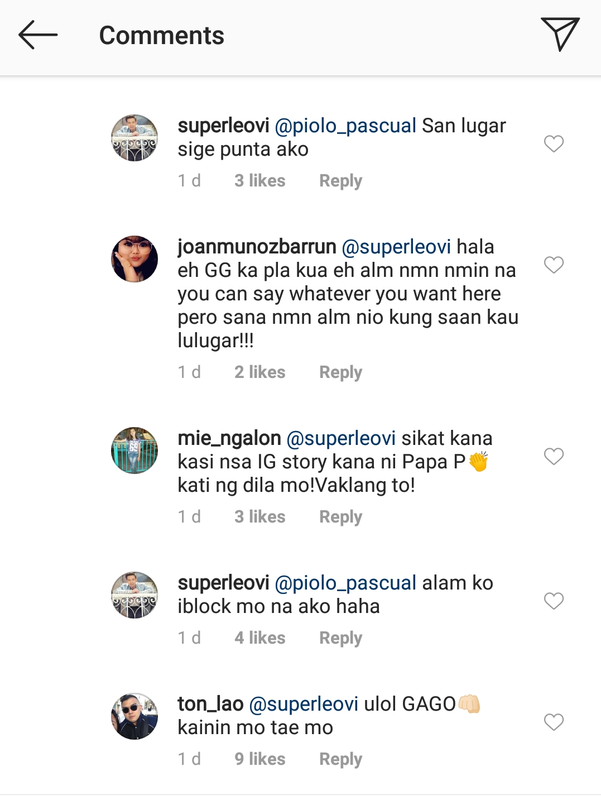 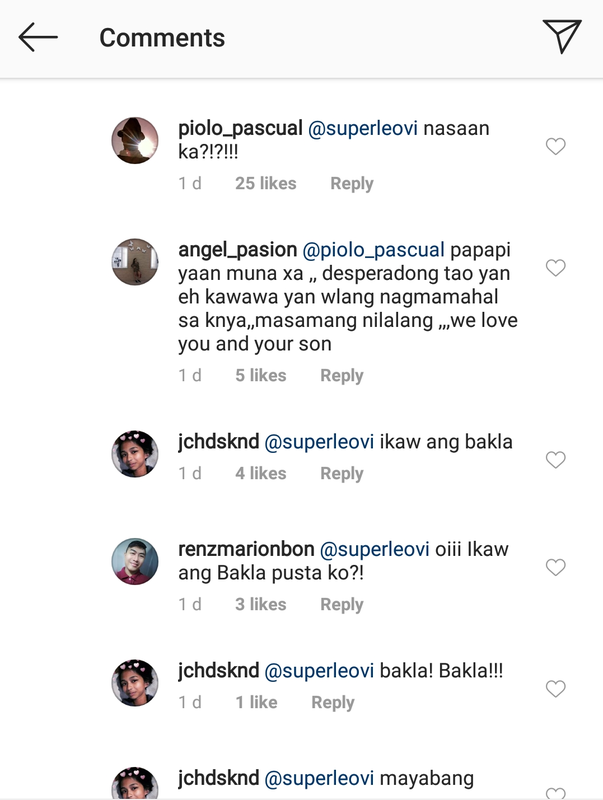 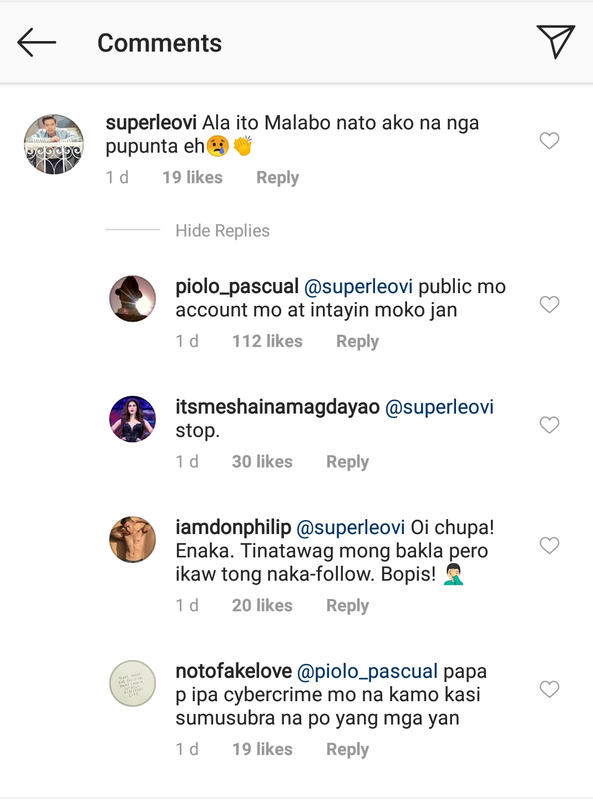 Piolo challenged him to switch to public his Instagram account.